Today's post is "Shine Bright" lol because the weather was great and the sun was shining bright. I wanted to dress up and a little flirty for this beautiful Spring weather. I wore some brown caged heels. 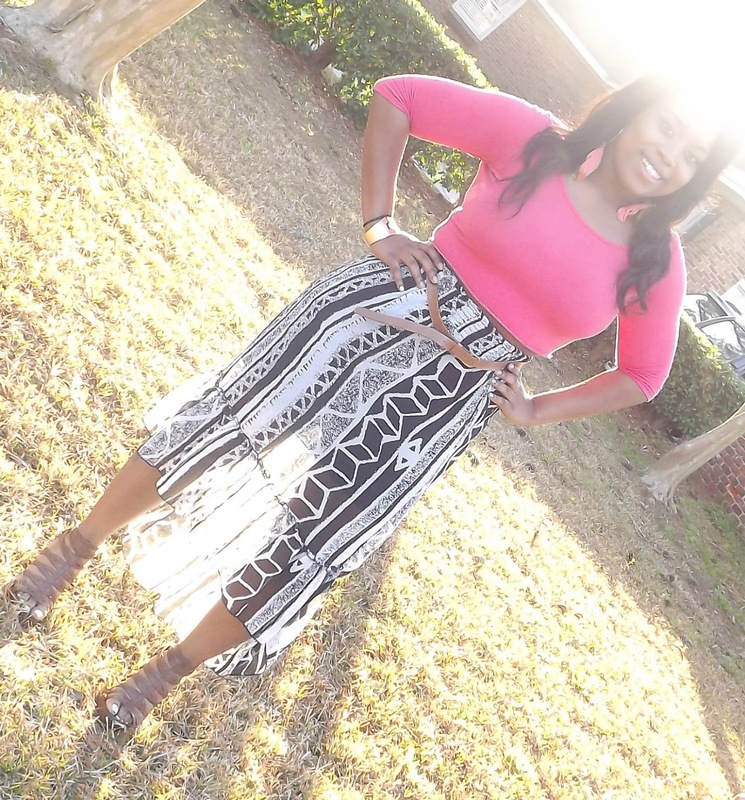 I also put on a black and white Aztec skirt with a pink cropped to, also with a skinny brown waist belt. I thought this look was flirty but yet cute!